Prisma iPM is a type tested switchboard and comply with IEC 61439-1 standard. Prisma iPM consists of 2 products within the range that integrated power distribution from a single source. 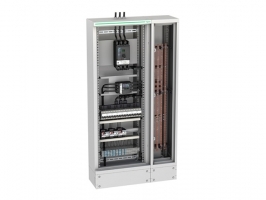 Prisma iPM system L: Solutions for wall-mounted enclosures for electrical up to 630A. 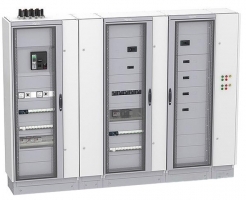 Prisma iPM system M: Solutions for floor standing cubicles for electrical switchboards up to 4000A.